In order to complete a bankruptcy case and obtain a discharge, you need to meet certain requirements. If all of the appropriate and necessary steps are not taken, the bankruptcy court has the power to dismiss your case with or without prejudice. Of the two dismissals, without prejudice is the better outcome. This means you have the ability to immediately file for another bankruptcy case. Basically, as long as you do not abuse the bankruptcy process or purposefully disobey court orders, your case can be dismissed without prejudice. Why Did the Court Dismiss Without Prejudice? More often than not, a simple, procedural mistake in the bankruptcy process can result in the court dismissing your case without prejudice. In the instance you did not file a required form with the court or failed to provide all the necessary supporting documents to your bankruptcy trustee, there is a good chance your case will be dismissed without prejudice. The same will happen if you do not appear at a mandatory court hearing or fail to pay the fees for court filing. Another easy way to be dismissed without prejudice is to fail to meet all of the eligibility requirements for the type of bankruptcy your are looking to file for. Again, these are just some procedural errors that could result in you having your case dismissed without prejudice. And while it means you have the opportunity to file immediately and try again, there is a stipulation that might make you want to wait. If your case was dismissed by the court and you choose to file again within one year, the automatic stay for your new bankruptcy case will be limited to just 30 days from your filing date. In the off chance you had two or more bankruptcies dismissed within the year, you will not get an automatic stay when you file again. The only way to get the full automatic stay or extend it beyond 30 days is to file a motion with the court. With this you must prove that you had filed your bankruptcy case in good faith. In any case, the expertise of a bankruptcy lawyer will go a long way in making sure your case does not get dismissed at all. Attorneys experienced with bankruptcy litigation understand the importance of the procedures and getting them done correctly and on time. Utilizing an experienced attorney like Joel R. Spivack, Esq. can ensure your best possible outcome. 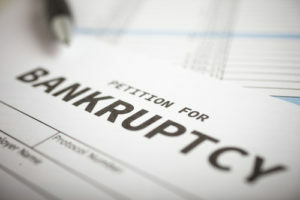 The New Jersey attorney with an office in Cherry Hill has be handling bankruptcy clients for more than 25 years. With a track record of success, Mr. Spivack is more than happy to add you to that list. Fill out the online contact form and get your fresh financial start today.